Good looking and capable of handling itself when the tarmac runs out, the Kia Sorento is an intelligent all-wheel drive, all-terrain vehicle that can turn heads without breaking a sweat. Incredibly spacious, this seven-seater will suit drivers who value practicality but still require elegance and refinement. The cabin is well equipped and the Sorento's 2.2-litre diesel engine provides plenty of performance, even when towing. 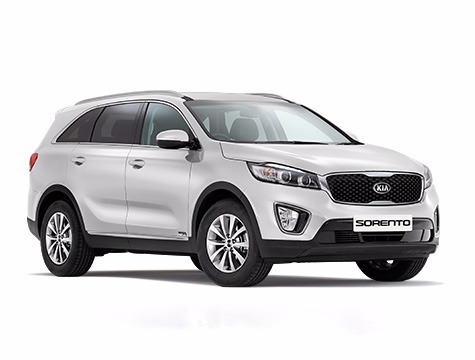 Test drive one of the used Kia Sorento models for sale in Southampton today by getting in touch with a member of the team at St James Motor Company. Rest assured that our friendly and knowledgeable team members are always ready and willing to lend a hand. Finance is available to UK residents aged 18 years or older, subject to status. Terms & Conditions apply. Indemnities may be required. Other finance offers may be available but cannot be used in conjunction with this offer. We work with a number of carefully selected credit providers who may be able to offer you finance for your purchase, commission may be received. We are only able to offer finance products from these providers. Postal Address: St James Motor Company, 2 Bevois Mount Business Centre, 92-94 Lodge Road, Southampton, Hampshire SO14 6RG. Find contact details here.